So at the end of last year, with my switch to Choice Based learning and added grade levels, there were a few things that had been causing frustration and/or I just thought could go better for the coming school year. I made a list of those things and then throughout the summer, as a solution popped into my head or was stumbled upon through pinterest or awesome blogs, books, etc., I filled in the area under that problem and planned the solution into my management plan, long term plan or room decs for this year. I thought it may be helpful to share my problem-solving process with you to a. hopefully help someone out who may be experiencing similar problems (or at least commiserate) or b. steal some of your awesome alternative solutions! (comment below with helpful-hints!) Today I’ll share my initial document and then the 1st solution in action! You can find the unedited, no-frills, brainstorm pdf file below. The first thing on that list had to do with volume control. My kids were being productive (for the most part) and having meaningful conversations, but they were just too loud. 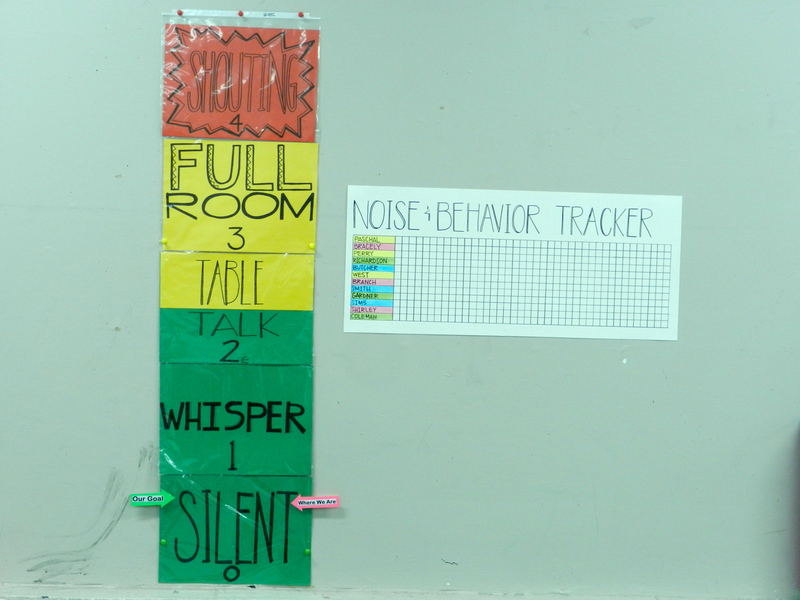 So, the music teacher and I decided to collaborate and do the same volume control tracker in both of our rooms, using volume levels as a verbal and visual guide for students. With this handy tool we can easily say “during your Do Now, you should be at a volume level 0, meaning you are silently working until the bell rings.” On the left side of the tracker there is an “our goal” arrow and on the right side there is a “we are here” arrow. My sound monitors for the day will be in charge of moving the arrows to the appropriate positions. We are still brainstorming rewards but classes with the most greens will earn some kind of prize at the end of a quarter…kids come tomorrow so we’ll see how it works! School year #4, here we come.